Last week we embarked on a trip to preside over focus group studies regarding our flip-flops. We hit the road to get to Fort Lauderdale for two sessions, and then flew over to San Diego for two more. 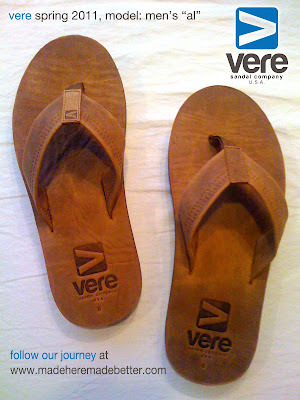 It was a great chance to get out and talk to the actual people who just may well be wearing Vere flip-flops in a few years. Our focus groups went as good as we hoped. Big thanks to Periquin Strategy out of Denver Colorado for setting up and conducting these great sessions. We sat with a number of people who wear flip-flops whenever they can. Part of ‘Flip-Flop Nation’ as one participant put it. We were able to sit in on a candid conversation about what they like/dislike about flip-flops, what their ideal pair would be like, and the ideal company that makes them. They were able to see our entire line of Vere Sandals, pick them up, and even try them on (as long as they were the right size). 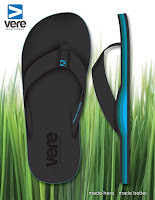 We were encouraged by the positive response and support for the Vere Sandal brand, as well as the strong interest in supporting US made products. We had always believed that people would do the right thing if it were made easy, and we are learning from the focus groups that in an “apple-to-apple” comparison, people will consider the domestically produced product. They also will be more interested if the company acted on their claims of manufacturing with an eye toward the environment. 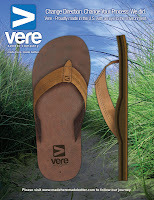 Our big challenge is to get the word out that Vere not only makes a high quality, comfortable sandal, but we make it here in the United States. Hopefully people (you included) will help us spread the good word. When we weren’t at the focus group and traveling we kept ourselves busy. We had our share of meetings. One included an interesting discussion with the head of an industrial design firm on the scope of manufacturing in the US, and how this country can reclaim their industrial edge through process innovation (there were some interesting ideas that merit another blog entry at another time). We also met with some owners of local surf shops and with discussions on their business in general, as well as what product is moving, not moving, and what is in the future for the flip-flop market. Last week we were fortunate enough to be invited for a tour of a corrugate (cardboard) facility in Emmaus, Pennsylvania with the intent to view some potential Point Of Purchase designs we might be able to use. 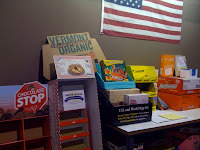 The people at Impress Packaging have an incredible facility and an impressive line of clients and work. They had their incredible design team sit down with us and help us with some designs we might be able to use for "sandal racks" within stores made completely of either corrugate or wood. The entire structures would thus be made without any metals or plastic like the traditional means used in the majority of stores today. Many companies are beginning to use this type of product placement within the stores, but it's still not very widespread. We're really trying to open every available door to ensure we can continue our message of keeping things with an "eye to the environment" for each aspect of the production and sales we can. We're very excited about the possibilities that were presented to us, we really hoped that we could make our entire POP with recycled or recyclable materials, and their design team loved the challenge. Looking forward to seeing what they sketch and put together for us and can't wait to hopefully share. No doubt, she didn't bat an eyelash, when Gabi saw the assortment of all our samples, she gravitated immediately to the pink ones... Gotta love it. We only wish we had kids sizes, I think she'd wear them all day (and it's about 30 degrees these days...). Quick reminder, we're going to be in Fort Lauderdale, FL on December 15th and San Diego, California on the 17th running our pre-screened focus groups. 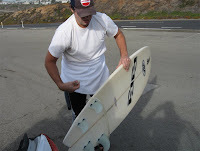 Anyone within range, we'd love to get in touch and show you the line, maybe catch a surf or a bite, please holler. We've got 'em in-hands... each model, each color, in sample sizes. 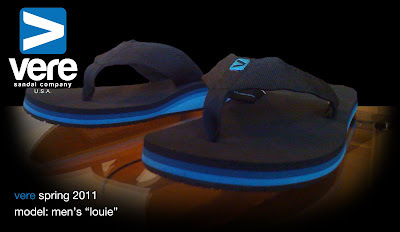 We were also able to shoot each sandal and get some nice product sheets for each model. The next step is focus-grouping. We're going to be in Fort Lauderdale, FL on December 15th and San Diego, California on the 17th running our pre-screened focus groups. Anxious to see what some very random people will have to say about our sandals, especially in comparison to current models and brands they're attached to and love. 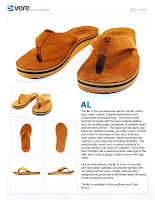 If anyone's interested in either helping out with the focus groups or if anyone in those areas would like to just get a look at the actual sandal line and a version of each model, please give us a holler. We'd love to arrange a showing for you to get a look. We were amazed by the amount of waste generated by making sandals. We were already concerned with what happened to the finished product at the end of its life cycle – straight to the trash heap. Right then, I thought “when I do my own thing, I’m doing it better.” Well, here we are. Our goal is a closed loop sandal. I think that’s the goal of any product design now, or should be anyway. It’s guided by the Cradle-to-Cradle™ design philosophy, and we think we can get there eventually. The goal is to put nothing into a landfill – when you’re done with your sandals, send ‘em back – we’ll take them apart and recycle the components to make new sandals. It’s a pretty ambitious goal, and there are quite a few obstacles in the way of making it happen. For instance, we’ll need a glue strong enough to keep the sandals together during the full user-life, yet one that’s able to easily come apart when the time comes to separate the components for re-use. Oh yeah – it needs to be a glue and primer that’s safe for the environment, too. Then there’s the recycle-ability of the components themselves. 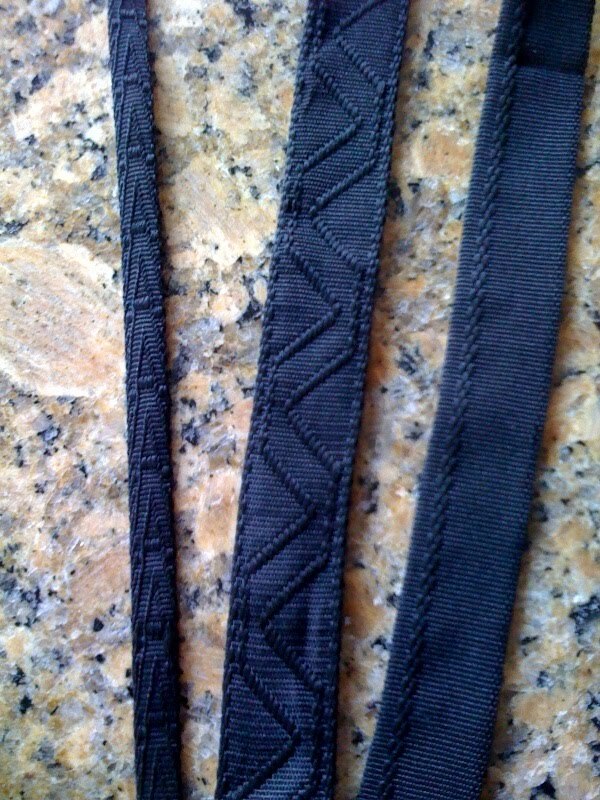 The straps we plan on using will be made from recycled polyester, and that can be recycled time and again. The problem comes from the rubber and EVA used for the footbed: we can’t make a footbed with 100% recycled EVA or Rubber at this point, but we can recycle the materials we get back and keep them out of the landfill. We’re not at the stage where we can make the closed loop sandal happen just yet, but we have confidence we’ll get there. What we are committed to doing is using the best techniques we know of, and creating some new ones. We plan on eliminating almost all the waste from our process, and recycling what little waste we do create. We plan on using water-based adhesives and primers instead of the traditional solvent-based ones. We plan to use only recyclable materials wherever and whenever we can – we want to make product that never sees a landfill, and use processes that produce no waste. Here’s the catch: it’s gotta fit well, be comfortable, and last a long time. What good is it to make an earth-friendlier sandal that nobody wants to wear? 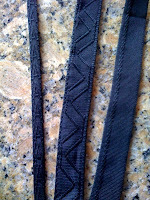 We’ll be making the highest quality sandals on the market. They’ll fit properly. They’ll have the right amount of arch support. They’ll be comfortable the day you get them, yet they’ll mold to the shape of your foot over time without “packing out” and losing their cushioning. We hope that when you finally wear out a pair of our sandals, you’ll want to send them back to us and get the exact same pair again – and maybe try out a different pair too…! When we say “made better,” that’s what we mean: better quality and better for the environment.